Sauber's plan for 2013 was pretty simple when it come to the question of the C32: They wanted to give good old evolution a go in order to make the new car score more than last season, when the team racked up four podium finishes and the sixth place in the championship. Power still comes from Ferrari, but the new silver-on-gray livery and the arrow-shaped nose makes the car stand out even more than any amount of Rosso Scuderia paint could. According to team boss Monisha Kaltenborn, they focused on getting rid of the weak parts while making the good ones even better with the C32. Shocking news. The real question remains whether ex-Force India star Nico Hülkenberg and previous Lotus GP2 GP3 champion and test driver Esteban Gutierrez will fall into the strong basket or not. 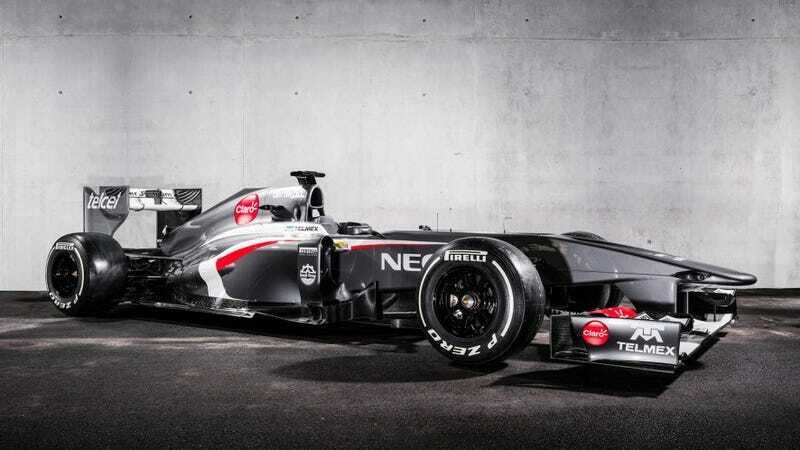 We would love to see Sauber finally start winning after so many unsuccessful years in the business.